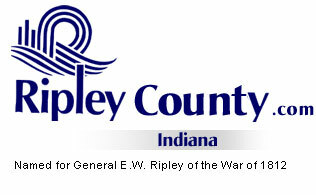 The Ripley County Council met on Tuesday, March 21st, 2006 at the Ripley County Annex in Versailles, Indiana. Donald Dunbar, Council President called the meeting to order promptly at 7:00PM with the pledge of allegiance to the flag. Council Members Don Dunbar, David Simon, Edward Armbrecht, William Dramann, Ben Peetz, Dephane Smith and Mark Busching were in attendance. Neil Comer, Attorney was present to advise the Council on legal matters. Council Member Busching made a motion to approve the additional appropriation of $45,000 from Fund#542-43155-000-542/Rising Sun Regional Foundation Gradual Grant seconded by Council Member Simon. Motion approved unanimously. Council Member Armbrecht had requested that Soil & Water be represented at the March meeting due to a grant that had been received. Irvin Harmeyer, Soil & Water was present to answer questions. Council Member Armbrecht advised that back in September it was decided that no raises would be given for 2006 with the exception of the two office holders being given raises per the Indiana Code. Council Member Smith suggested that they use the grant for the insurance but was advised that several of the employees didn’t have county insurance. Council Member Smith made the motion to approve the grant for raises for the Soil & Water employees. Motion died due to the lack of a second. Council Member Busching made a motion to approve the Resolution (To Reduce The Welfare Family and Children Tax Levy and Tax Rate by $111,775 for 2005, Payable 2006) seconded by Council Member Smith. Motion approved unanimously. Ted Spurlock, Rising Sun Regional Foundation presented the Ripley County Council the 2005 Annual Report and a summary page of the distributions through 2005. Ripley County has received approx. $35,000,000 to date. Commissioner Reiners thanked Mr. Spurlock for all his hard work with the foundation. Council members and the Commissioners signed thank you letters to Switzerland County, Ohio County and the City of Rising Sun for the support of revenue Ripley County has received from the riverboat funds. Mary Ann McCoy, Ripley County Auditor advised the council that the county is waiting on rates from the state and was advised by the state that it is due to the cross county with Dearborn County. Gene Swing, Ripley County Humane Society advised the council members that they are having a problem with parvo virus in dogs. Humane Society receive the dogs from the dog catcher/Jim Lovins. Swing asked that the county pay for shots for the dogs that Lovins brings to the Humane Society. Commissioner Folz advised that he would take this up with the other two commissioners at the Monday commissioners meeting. President Dunbar suggested to the council that they meet with the office holders at the next meeting and go over the survey that had been presented to them for a new annex building. Council Member Busching suggested that we go over the surveys before meeting with the office holders. Armbrecht suggested that with in the next month or two get some figures together and go over the budgets for 2006, 2007 & 2008. Armbrecht suggested that the finance committee meet before the meeting with the office holders. President Dunbar will work on getting this together. Commissioner Reiners advised the council that Ripley County will be receiving dollars back from Anthem Insurance for the year of 2005. Reiners advised that the county has a new company under Main Source for the liability insurance with more coverage at a lesser cost to the county. Economic Development-Edward Armbrecht-new Company in Osgood/Hazen Paper Company- and putting a package together for a new Economic Development Director. With the possibility of an Ethanol plant being located in Ripley County. Council Member Armbrecht questioned that the commissioners were purchasing new chairs for the commissioner’s room in the annex. Commissioner Reiners advised that they are a Hon Chair at a cost of $385 per chair. Council Member Smith made a motion to adjourn until the next regular meeting on Tuesday, April 18th, 2006 @ 7:00PM seconded by Council Member Busching. Motion approved by those present.